Canadian Sport Institute Network is a key contributor to Canada’s world leading Olympic and Paralympic podium performances. To provide a world-class, multi-sport daily training environment for athletes and coaches through expert leadership, services, and programs. The foundation for an integrated regional delivery of sport services and programs in BC is laid following a community-based consultation process of more than 20 communities by the provincial government . Interest and support from a wide range of sport stakeholders develops to help athletes, coaches, and officials access locally-based programs and services. PacificSport is formed in 1999 to provide a seamless system of sport programs and coaching in BC. The two National Sport Centres in Victoria and Vancouver align with six other Canadian Sport Centres across the country (Calgary, Saskatchewan, Manitoba, Ontario, Montreal and Atlantic). PacificSport begins its evolution into one provincial organization with a new governance structure and strategic plan including the Vision to become “A World Leader in Sport Performance”. A focus on the power of partnerships, the development of performance services, an integrated performance system and facilities investment paves the way for the future. 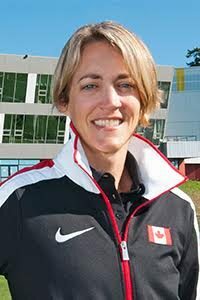 A new provincial PacificSport Board of Directors is selected to lead the vision. In a move to formally recognize its membership in the Canadian Sport Centre network, the “PacificSport BC Society” changes its name to the Canadian Sport Centre Pacific (CSC Pacific). CSC Pacific/Pacifique joins CSC Calgary, CSC Saskatchewan, CSC Manitoba, CSC Ontario, Centre national multisport – Montréal and CSC Atlantic/Atlantique in the national network. Three locations – Vancouver, Victoria and Whistler – made up CSC Pacific. The six PacificSport Centres – PacificSport Fraser Valley, PacificSport Interior BC, PacificSport Northern BC, PacificSport Okanagan, PacificSport Vancouver Island and PacificSport Victoria – maintain their respective names. After years of preparation, Canadian Sport Centre Pacific became Canadian Sport Institute Pacific at the end of 2012. The institute designation, granted by Sport Canada and Own the Podium, is a reflection of the organization now being a world class Olympic and Paralympic training environment. Leading nations across the globe also boast ‘sport institutes’ for high performance athletes. As a result, the name change indicates Canada’s strength and parity as a sporting nation on a global level.